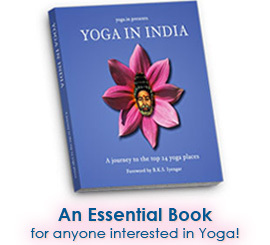 The Sanskrit word pranayama comes from the roots prana (Universal energy), and yama (to control). The literal definition of pranayama then is "the control of (or holding onto) the vital force (prana)," most aptly via the breath -- which makes pranayama the practice of breath control. Pranayama is a conscious attempt to stabilize the flows of prana and apana (two distinct forms of energy whose dynamic movements are intimately linked to the breath), and bring them into a state of balance or harmonious interaction. Prana refers to the essential subtle energy that lies at the foundation of the entirety of manifestation. In the yogic tradition, prana is seen as the origin and the sum of all of the energies of the macrocosm (Universe). The word itself can be broken into its Sanskrit roots, pra which means "prior" or "to have previous existence," and ana, which refers to a singular element, that basic unit, anu which underlies material, manifest existence. In this sense, the word prana literally implies "that which is the precursor of or 'prerequisite for' manifestation or material life." It is the action of prana, the life-giving force upon akasha (the primordial ether) that gives birth to the world and its entire range of phenomenon - the world in which we exist. Prana can be seen as the total sum of energy that enlivens the human being and all of nature. As human beings, we receive this life-giving force most abundantly through the air that we breathe, but also in the food we eat and the water we drink, absorbing it in other ways too, such as through the skin. Pranayama is most often defined as "the control of the breath." It is true that on the existential level, the easiest perceivable manifestation of prana, and therefore that upon which it is easiest to act, is deemed to be the breath. 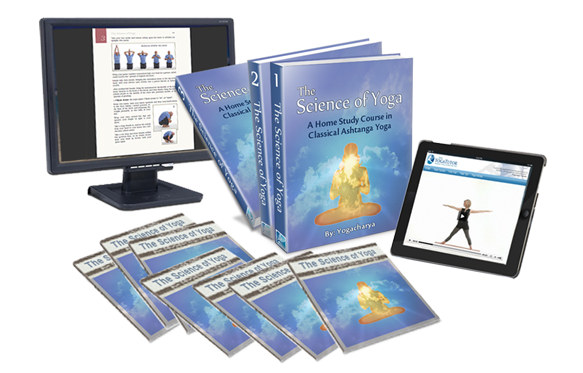 So the yogi mostly relies on his/her breath for the absorption, assimilation and manipulation of this vital energy. Nonetheless, there is a deeper meaning to this term pranayama as well. Air is not the only vehicle for the prana. Prana expresses as any force, power and energy manifested in the Universe, both physical and subtle. Moreover, prana manifests within beings as the different physical, mental and psychic processes. The fine movements of the nerves in a living body and the powers of the mind are in fact only more specific manifestations of prana. The activity of the five senses are also expressions of prana vibrating at certain frequencies.